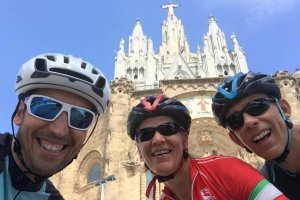 Bike tours Barcelona and guided road cycling experiences in Catalonia. Here you have our 9 guided daytrips, 9 guided cycling tours close to Barcelona. 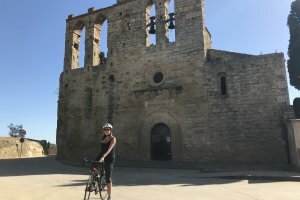 They are probably the best cycling trips you can do around Barcelona and in all of Catalonia. We offer them totally stress free for you. You just have to enjoy cycling. We provide with perfect rental carbon bikes, helmets, pedals, water bottles. We pick you up at your hotel in Barcelona (on request) and drive to starting point. From that moment on it is just about enjoying our smooth roads, warm weather and helpful drivers. Com and join any of these trips. Our Barcelona hills tour is possibly the most popular of our guided trips. Even if starting at same Barcelona, the route is amazing, with scarce traffic and great views over the city. Total 60 to 80 km depending on your needs, with 3-4 climbs. 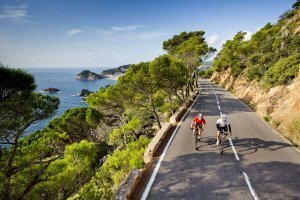 In our Costa Brava tour you will ride in the best road all over Catalonia, that one from Tossa de Mar to Sant Feliu de Guixols. This is a sunny road along the coast, in which you will discover high cliffs and hidden beaches. Penedes is the famous wine region well known for cava. In this tour you will enjoy those narrow roads with no traffic at all. 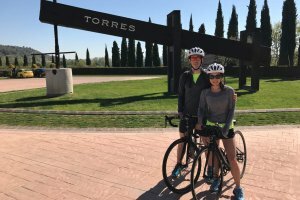 At the end, you may have our lunch after ride and visit one of the most famous wineries. Medieval villages tour is one of our cycling tours with less elevation, but also one of the prettiest. 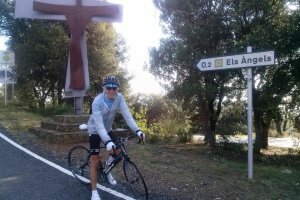 We will cycle through tiny villages as Peratallada, Pals, Monells. Such a nice way to discover Girona province by bike. The magical mountain is Montserrat. It is a pilgrimage destination for catalan people and people from all over the world. The cycling tour is amazing and also demanding, including 3 steep climbs, but the visit to the Monastry is mandatory! In our Sitges tour we leave the coast and lead to inner solitaire roads. 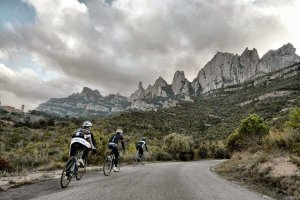 In our private tours we will cycle in tiny roads in Penedes wine region, overlooking Montserrat mountain in the distance. Totally worth! Hills and more hills north Barcelona, demanding route! In our Hills and more hills north Barcelona we will ride for about 90 km including 4 hills. 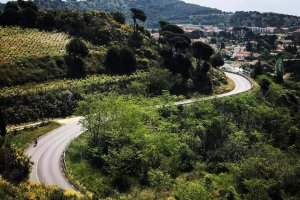 You will not believe that just from Barcelona we have such amazing roads and nice climbs. Demanding trip as well! Cycling in Girona, we will always find the right route for you. 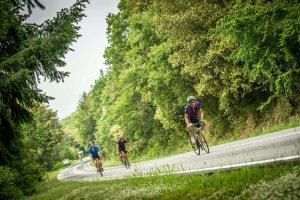 Girona has become one of the best cycling destinations all over the world. 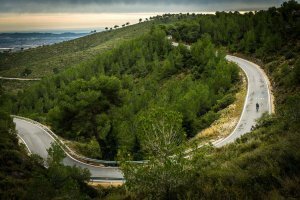 The routes from Girona town are simply amazing. We will adjust the route to your needs, if you prefer an easy one or if you prefer to climb to Rocacorba!